Nusakambangan Island is one on the coastal region south of Cilacap regency which are separated by the Strait of Segara Anakan separating the mainland island of Java. Also identified as island of jail wich made creepy impression. That was the impression usually heard by anyone who has by no means visited the island of Nusakambangan. The island is indeed a lot to offer. The longer the closer & see the creepy impression gradually disappear. a scary shadow on a jail population, as well as the wilderness that's even now ready of defending animals, its animal will slowly damage the impression of even that impression changed creepy sense of wonder & admiration beats limitless. Since 1985 the only prisons use are Penjara Besi, Penjara Batu, Penjara Permisan and PenjaraKembangKuning (Jail which was builded between 1908 to 1950) with average capacity of 500 people to 2000 people. Hearing the inmates you do not have to worry, because between tourist sites in jail so far. 9 pieces of jail, Five of them which called jail Karang Anyar, Nirbaya, Karang Tengah, Gligir and Limus Buntu was not used, but are now already builded a special jail for drugs, the jail opened and tremendous maximum security jail on other side of the island. 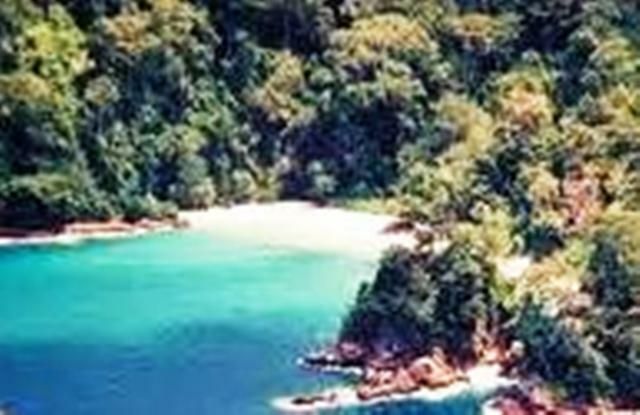 Nusakambangan island that extends about 36 km and a width of between 4-6 KM having a total area is 21,000 hectares have plenty exotic tourist destinations like cave, beaches, forts and beauty cough charcoal and panoramic beauty of nature, forest nature reserves, and wilderness.